Wall sconces while functional, can also be gorgeous works of art. With so many modern options in the marketplace, they've become part and parcel of a well-styled room. They can be installed just about anywhere — flanking the fireplace mantel, the kitchen, bathroom, bedroom, hallways — you name it, a wall sconce will make it better. Plus, with more and more plug- in options available, and a whole range of prices, incorporating wall sconces is entirely do-able whether you're a renter, or a homeowner designing to stay. 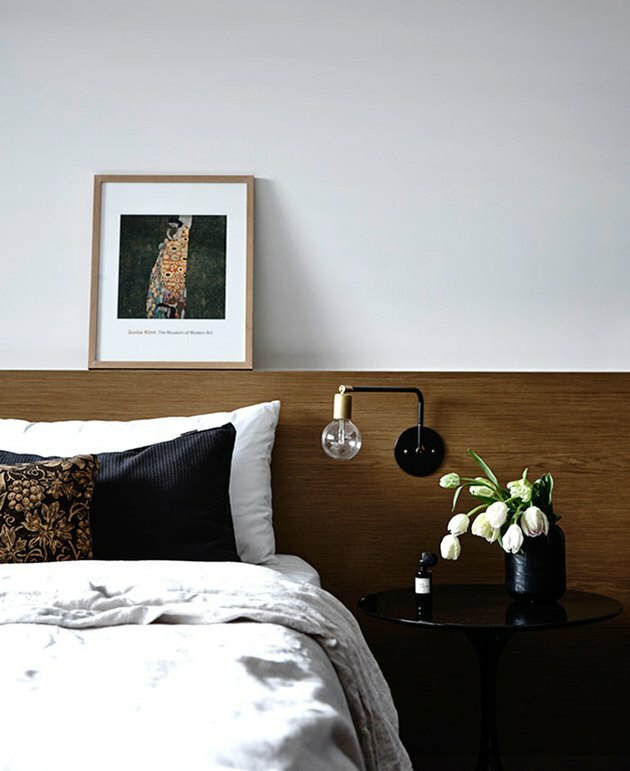 Here, we've rounded up 13 modern picks to admire and inspire. Simple, straight forward, and to the point. 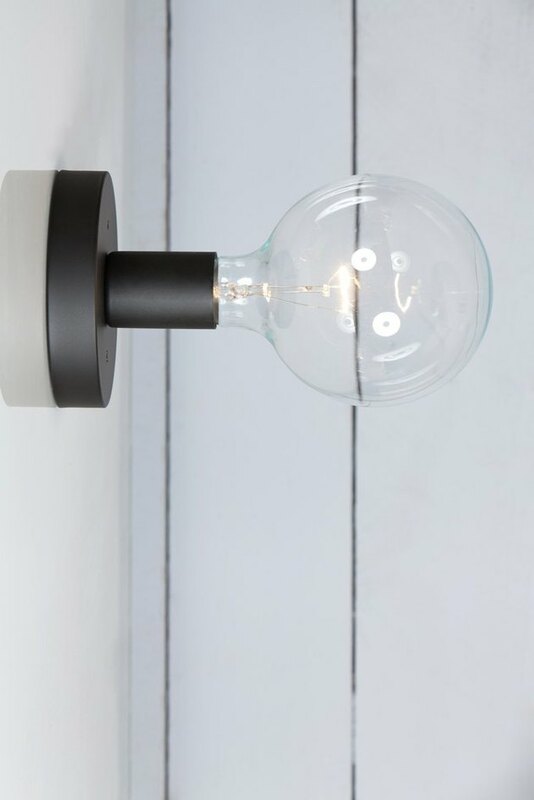 This industrial exposed bulb wall sconce would be just as at home in a modern farmhouse as it would be in an urban loft. Details are everything. 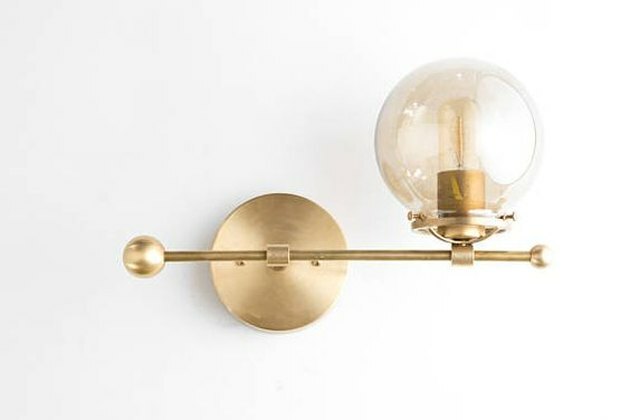 The hardwood backplate really warms the oxidized brass dome of the Aurora Sconce right up, making this handcrafted darling of a wall light very captivating. Portland-based Cedar & Moss are delivering on current renditions of the classic cone form task light in such an artful way. If you've never seen these grouped in a kitchen or over a gallery wall, the effect of the many is one big win. Whether flanking the fireplace hearth, bedroom headboard, or bathroom vanity, you can't go wrong with a pair of these warm brass-finished beauties. Exuding elegance and sophistication, you would never believe how affordable they are. 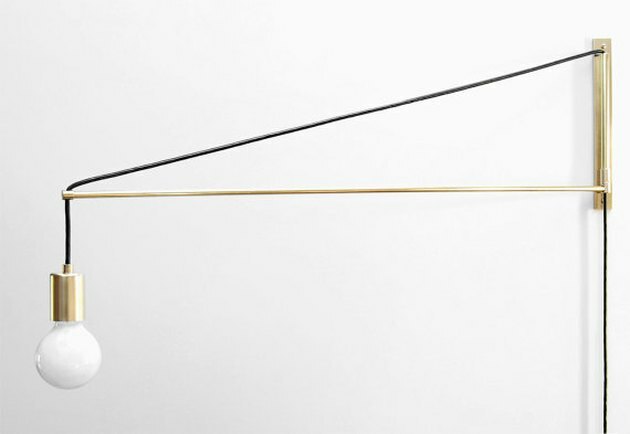 The makers behind Photonic Studio are crafting stunning modern lighting that begs to be seen. 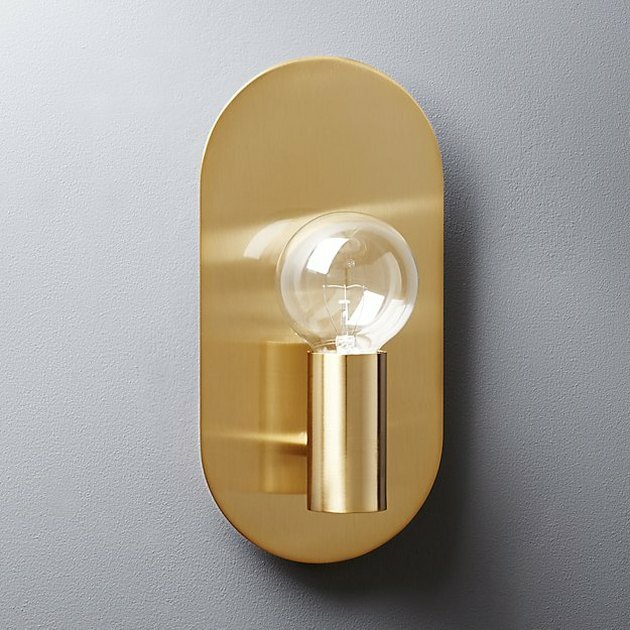 Minimalist in its design, this brass swing-arm wall sconce makes a bold statement while elegantly letting you send the light out — way out, where you need it most. As if leather drawer pulls weren't enough to satisfy, we now have wonderful leather light fixtures to quench our thirst. Materials matter, and with all of the emphasis on metallics, the soft, warm vibe of leather juxtaposed with light is too good to be ignored. Using timeless materials in unexpected ways always ends with visually interesting results. 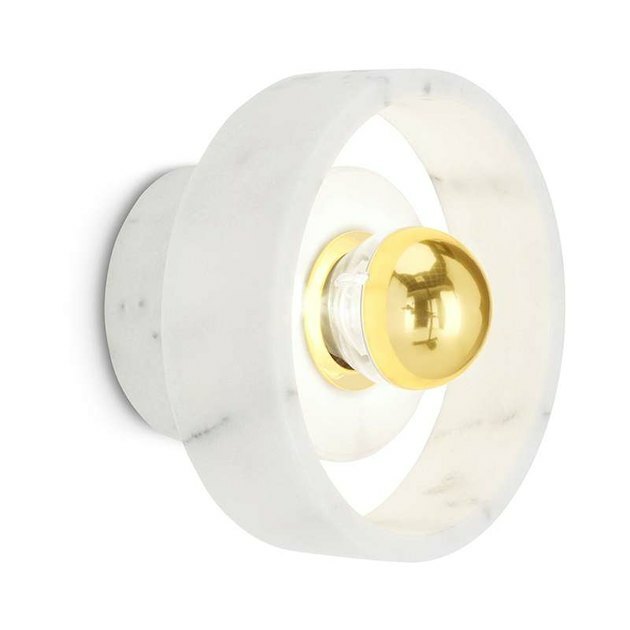 Designer Tom Dixon's Stone Lamp, crafted out of luxurious marble and paired with a brass-capped bulb is no ordinary wall lamp; rather it's a refreshingly original take on classic modern simplicity. 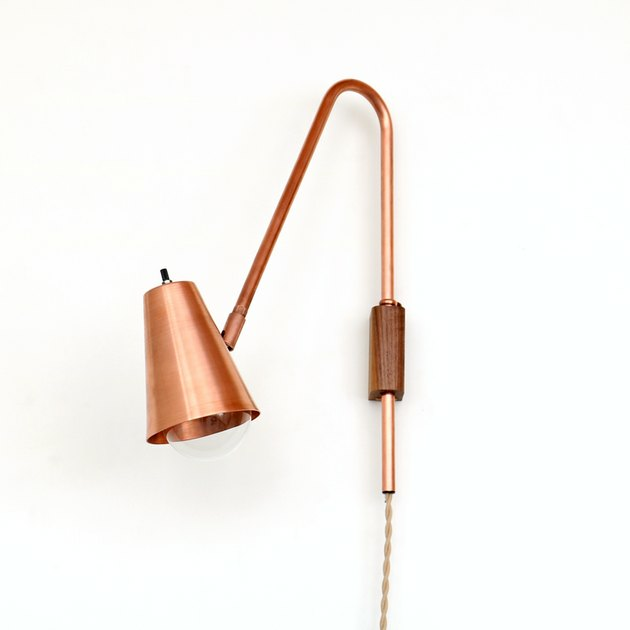 With its graceful neck and copper finish, this wall sconce is a standout. It's one of OneFortyThree's original designs, but now they're giving the Wallace Lamp to us with options. 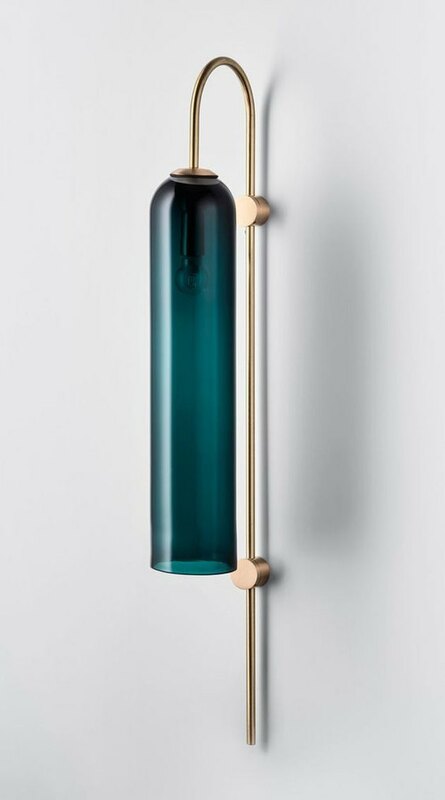 Handmade out of natural brass or powder coated steel, its striking details like the wood block and braided cord truly make all the difference. Drawing inspiration from Scandinavian design, this clean and uncomplicated beauty crafted by Vincent and Paul Georgeson for Misewell is one of our favorites. 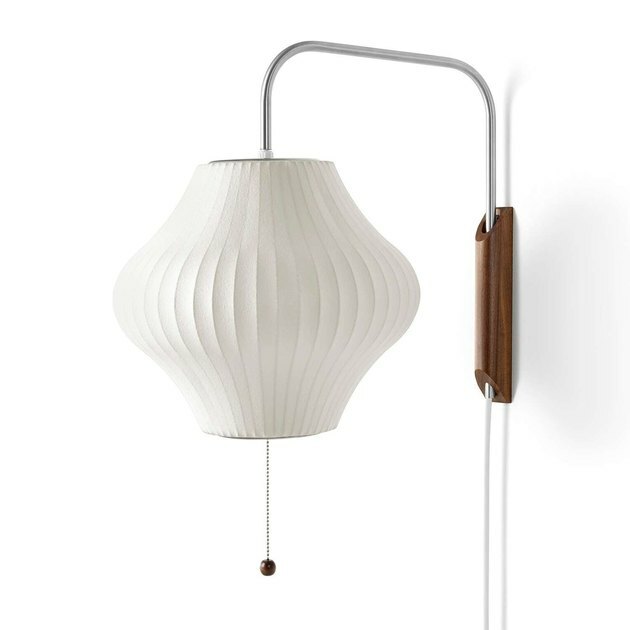 The hand-spun aluminum shade and the maple wood block backplate are the perfect pair. 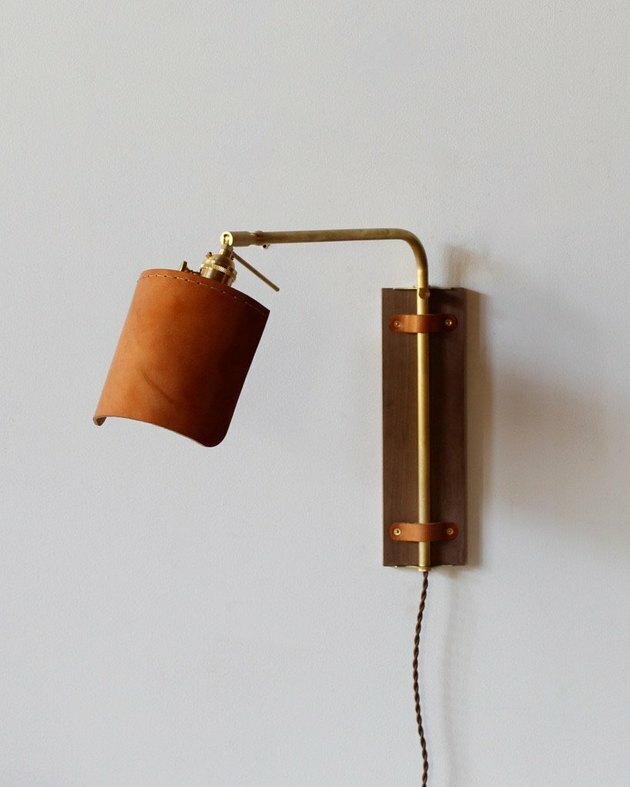 Handmade with unfinished brass, this midcentury modern wall sconce is a thing of beauty. With a globe-shaped glass shade and retro bulb, this fixture is full of inviting character and charm. Classic modernism will never be boring. Built to last, George Nelson's iconic Bubble Lamps are right at home in interiors across the style spectrum. 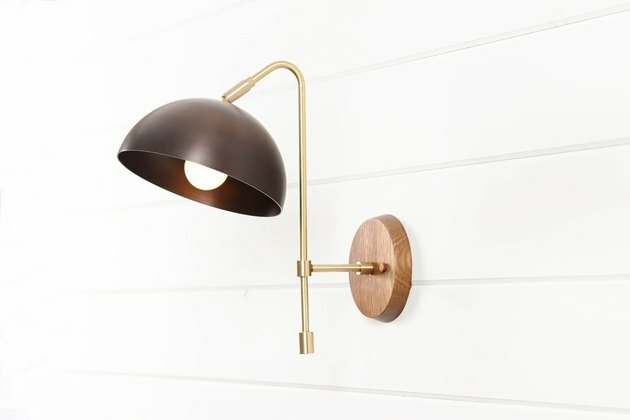 The enduring design appeal and versatility of this wall sconce secures its place in modern homes everywhere for years to come. 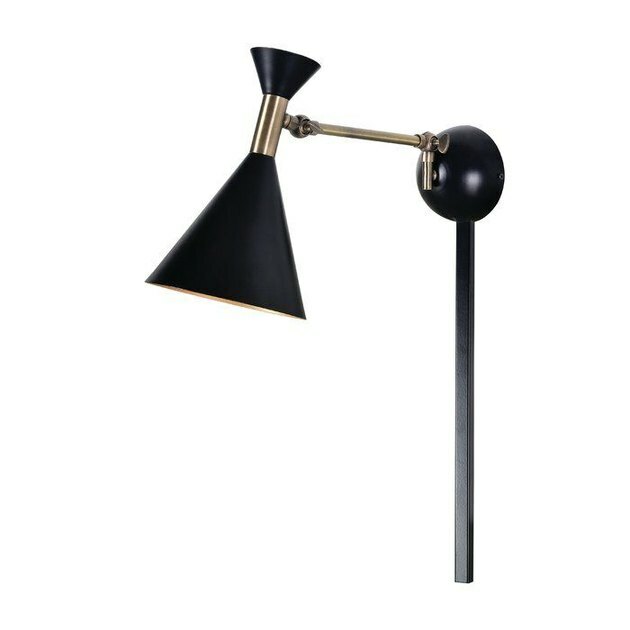 The sophisticated matte black finish with antique brass accents give this wall sconce a very high-end look without the high-end price tag. The arm and shade are fully adjustable, making this fixture a dream flanking a headboard or vanity mirror. 13. 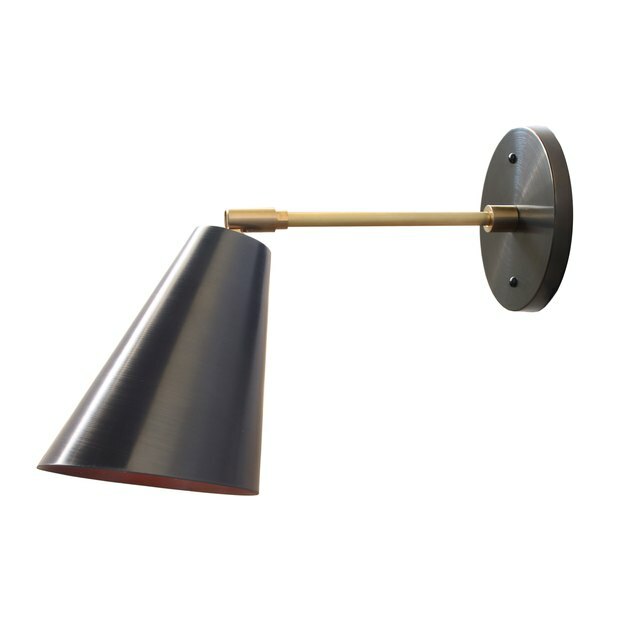 Articolo Float Wall Sconce, Pricing upon request. This past May, Australia-based design studio Articolo debuted its collection in the United States for the first time — and what a debut it was. 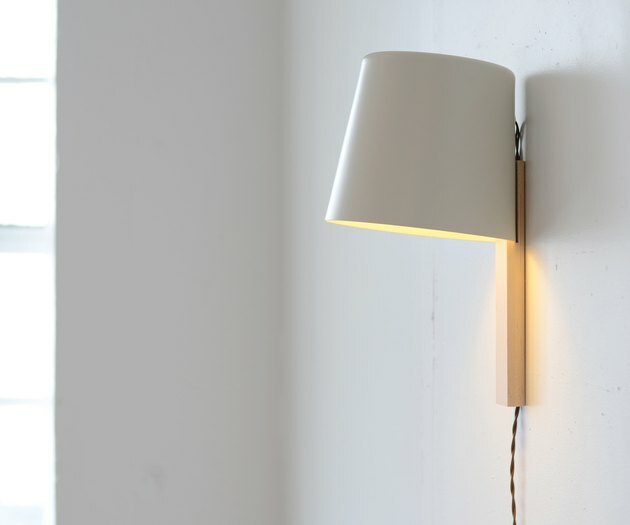 The Float wall sconce demonstrates minimalism at its finest, and we just can't get enough. Reminiscent of Hollywood glamour, this handcrafted wall sconce radiates refined luxury wherever it goes.